For over ten years my husband has spent time improving his basketball performance skills and tricks. Under the moniker Showcase, he has visited numerous cities around U.S. and has even been to Mexico with a basketball performance troupe similar to the Globetrotters, titled Team Hollywood, performing for people young and old at schools, community events, and birthday parties. Children laugh and smile as they watch “Showcase” entertain with his comedic routine paired with his basketball skills. The best of all is when children light up as they watch a basketball spin on the tip of their pointer finger as he holds their finger in place, keeping it steady and straight. Kids love it! Earlier this year, for my son’s 7th birthday party, I shared on his birthday party invitation that there would be a special basketball performance by my husband, Showcase. The attendance turnout was anticipated to be great based on RSVPs. We knew that second to the birthday boy, the kids would be excited to watch my husband showcase his skills. A few of hours before the party was scheduled to begin, my husband mentioned that he was beginning to have blind spots. We instantly recognized that he was experiencing early symptoms of a migraine. About 25 minutes later he also began to feel nauseous, which is another accompanying symptom of a migraine. I instantly brewed him a cup of ginger root tea. Along with the tea, I brought him a bottle of water with a couple of Excedrin® Migraine tablets to alleviate the pain before it escalated and became severe. That absolutely did the trick, and a couple of hours later, so did he. The kids had such a great time playing together and watching the performance. A majority of the crowd stood and rushed to him when he asked who wanted to spin the ball on their finger. 1. Stay hydrated. Make sure to drink 8 glasses of water each day. 2. Take frequent breaks if you're in the outdoor heat, as being overheated can trigger headaches and migraines. 3. Have pain relief medication on hand. When my husband travels away for performances I send him off with a small travel care package inside of his luggage just in case migraine symptoms begin to set in. Ginger tea to help curb nausea. Excedrin® Migraine for quick pain relief. Sunglasses to help avoid light. A towel to soak with cold or warm water or fill with ice or an ice pack to place over the forehead. An ice pack to keep in the freezer and place inside the towel to keep it cool. I like to include Excedrin® Extra Strength for teammates who may develop a headache, or even body aches before or after performances. For some, relief starts in just 15 minutes. Whenever you’re on the road, whether near or far from home, it’s a good idea to stay prepared by keeping a care package on hand or nearby in your vehicle. The products in this package can be found and purchased at your local Walmart store, including both Excedrin® products mentioned. They can be found in the pain relief section. If you suffer from migraines your migraine deserves a migraine solution. Excedrin® Migraine starts to relieve migraine pain in 30 minutes and is #1 Neurologist Recommended*. Have you tried any Excedrin® products for pain relief? Let me know how your experience went in the comments section below. Disclaimer: When using Excedrin® Migraine, it’s very important that you Use as Directed and consult your doctor if you think you are suffering from migraines. *Among OTC medicine for migraines. Symphony Health Solutions, 2016. They had so much fun! Thanks Cristi! Your pictures are always so amazing! I'm amazed that you were able to capture the birthday performance with such clarity. On another note my suffers from migraines almost daily and after being prescribed various medications Excedrin is the only thing that gives him relief without all of the extra side effects. Reading your post makes me think do men suffer from migraines more than women? Runs to Google! Thank you Tata! That's a good observation! Now I'm curious! So much fun!! Thanks for the tips. I had a major headache the other day. This certainly would have helped me out. Next time! Absolutely! 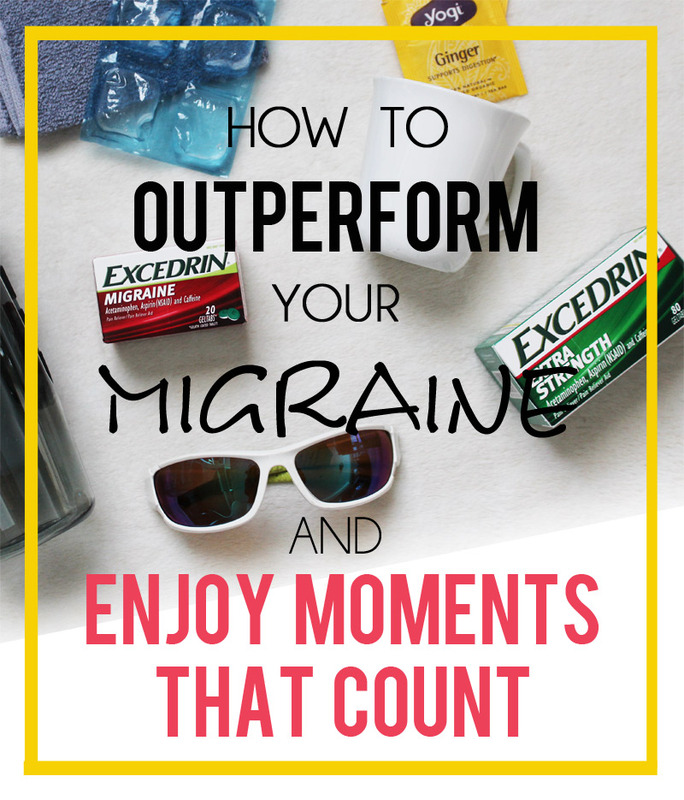 I use Excedrin Extra Strength for sinus headaches and it works like a charm!